Judge Jeanine Pirro is the host of the consistently highest-rated primetime weekend show, Fox News Channel's Justice with Judge Jeanine. Judge is also a legal commentator, author, champion of victim's rights and former District Attorney and County Judge. The event was AMAZING. 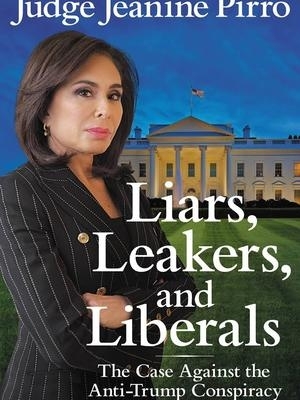 Judge Pirro was a true highlight for the audience we had... Judge Pirro was great to work with and stayed WELL BEYOND to sign her books and visit with our guests. It was great working with you and your team at Premiere. I believe in the American dream, I don't want anyone to take advantage of it, I don't want anyone to ruin it. Especially people who are not grateful to be here who seemingly hate us and call us racists. So to the actors and haters out there. Put a lid on it. Real people, not actors, not ideologues, elected Donald Trump President…real people...the ones who only get one take to provide for their families. Never in the history of this country has a candidate for any major office skirted the law, pushed the legal envelope or been under criminal investigation as much as Hillary Clinton.